Yanni's is a great lunch spot on Main Street in New Paltz. Once in a while I get a craving for Greek food. 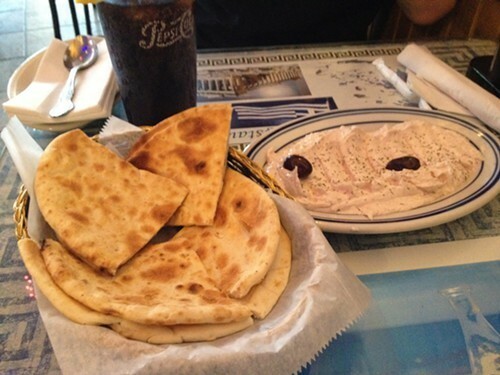 I went to Greece on vacation once, and I lived in Astoria, Queens for 10 years so I know good Greek food. Yanni's in New Paltz has it! I first tasted taramosalata at Opa's in Astoria, Queens, and the taramosalata in Yanni's reminded me of my Astoria days. For the entree I had the homemade veggie burger in a pita. Tom, on the other hand, ordered the Gyro Platter. The platters are generous here! 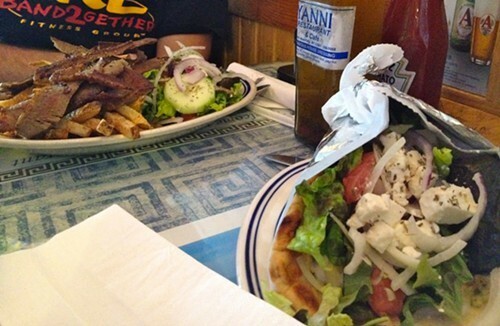 Yanni's does have a rather extensive menu of Greek specialties for folks who want something fancier. We skipped dessert so I can't report on their baklava though it did look good. Find more restaurant reviews at Hudson Valley Good Stuff: a blog about where to eat, play & recharge your spirit in the Hudson Valley.